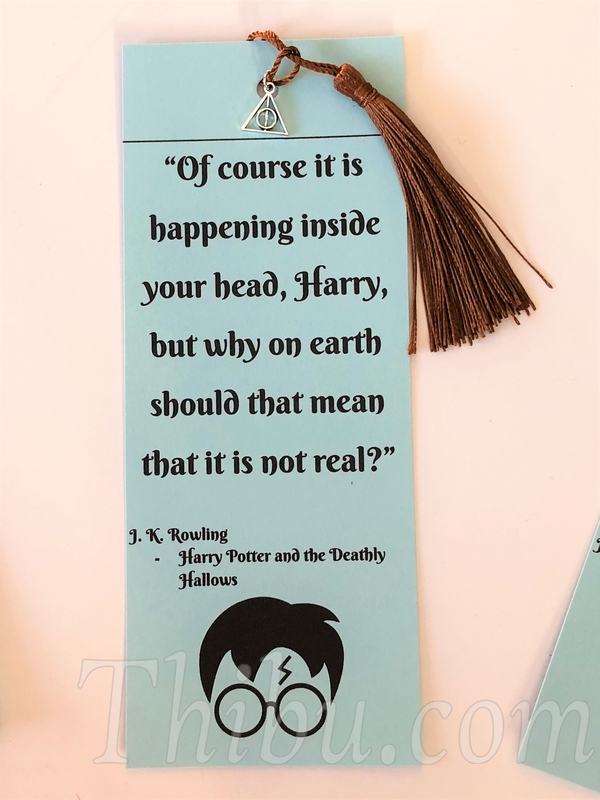 There are some wonderful quotes in the Harry Potter books. 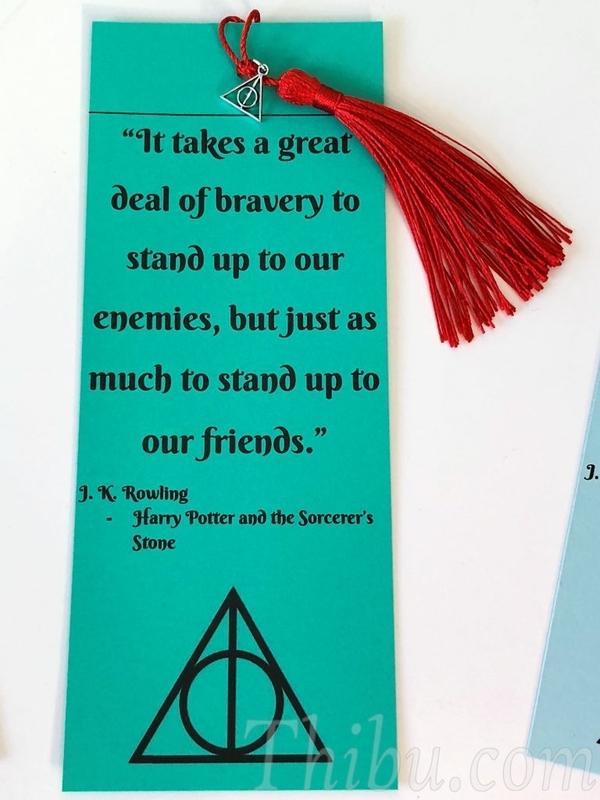 And I think they are great reminders for kids (and adults alike). 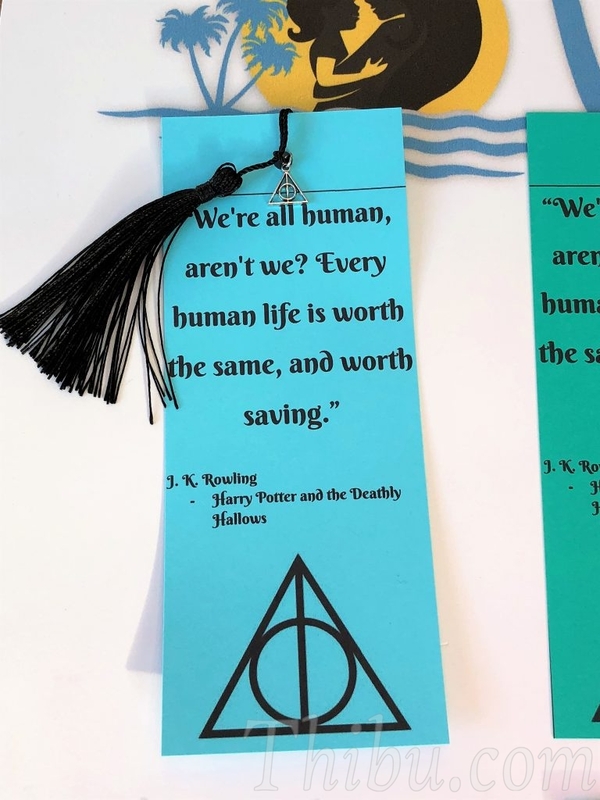 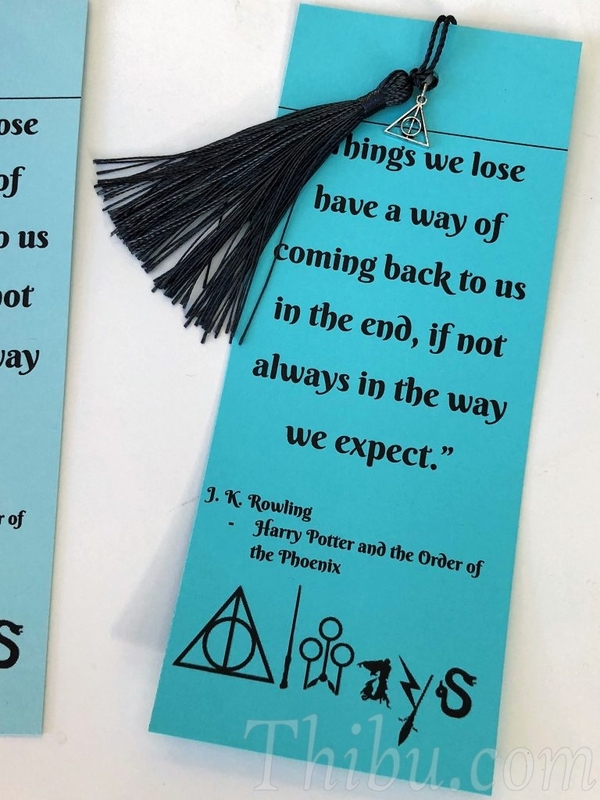 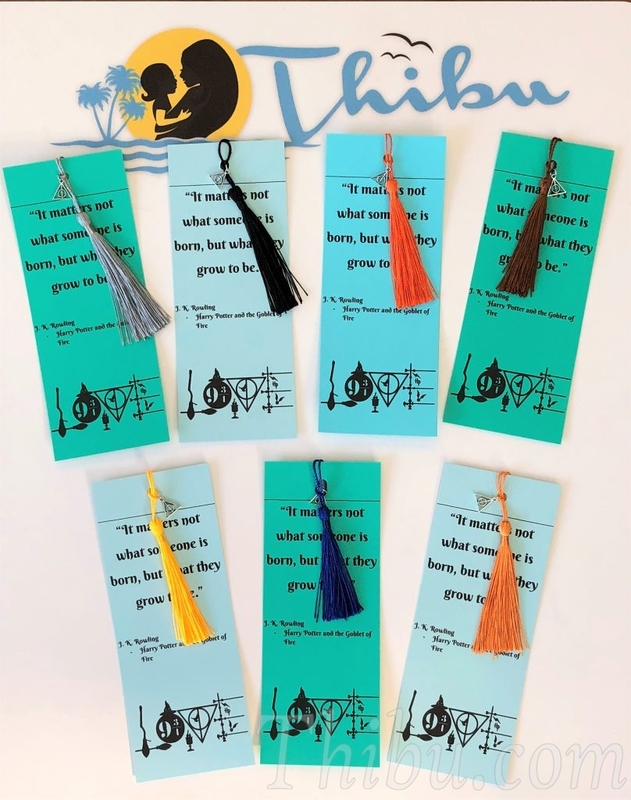 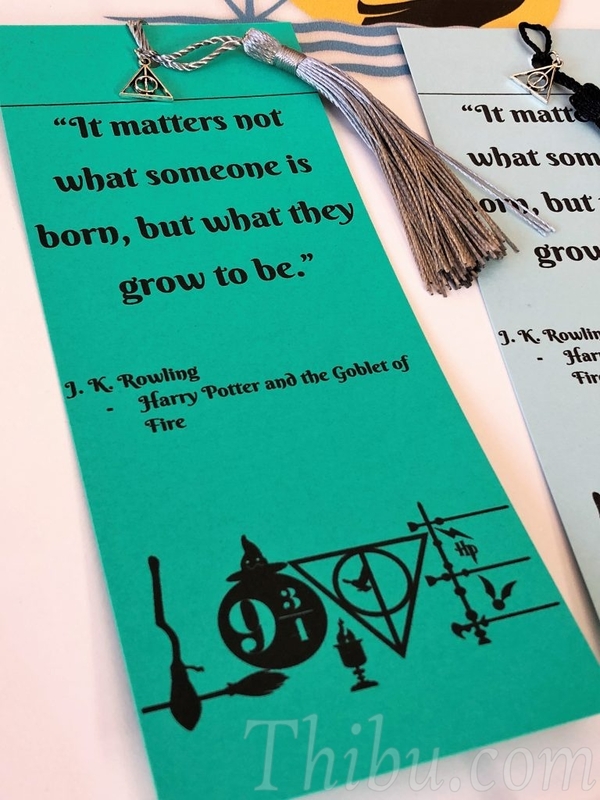 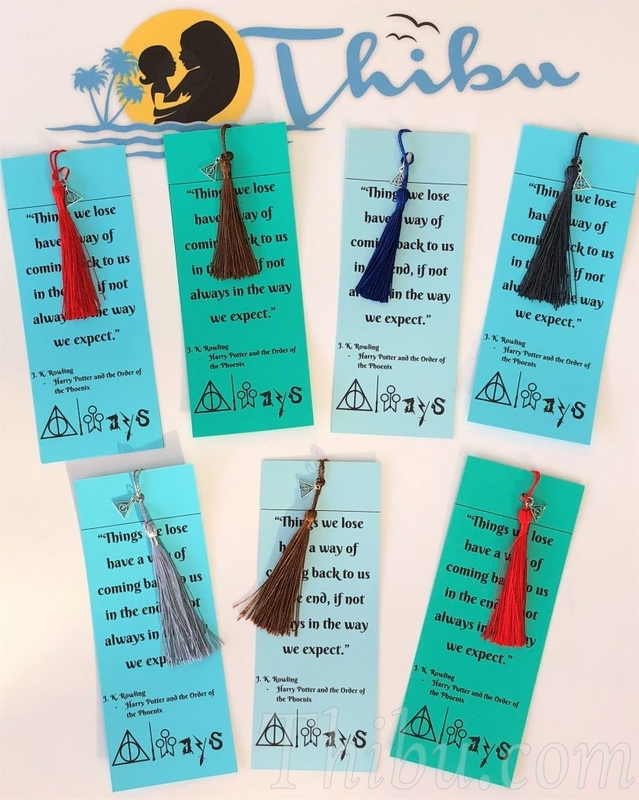 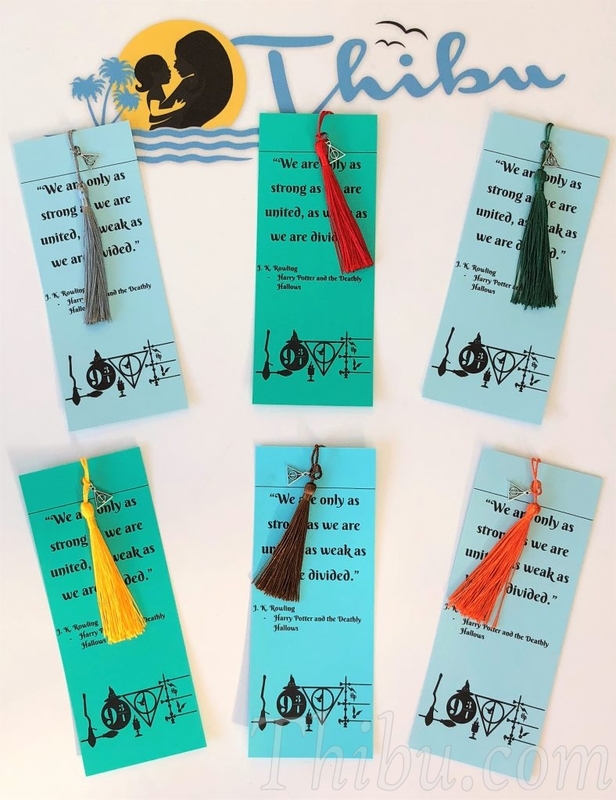 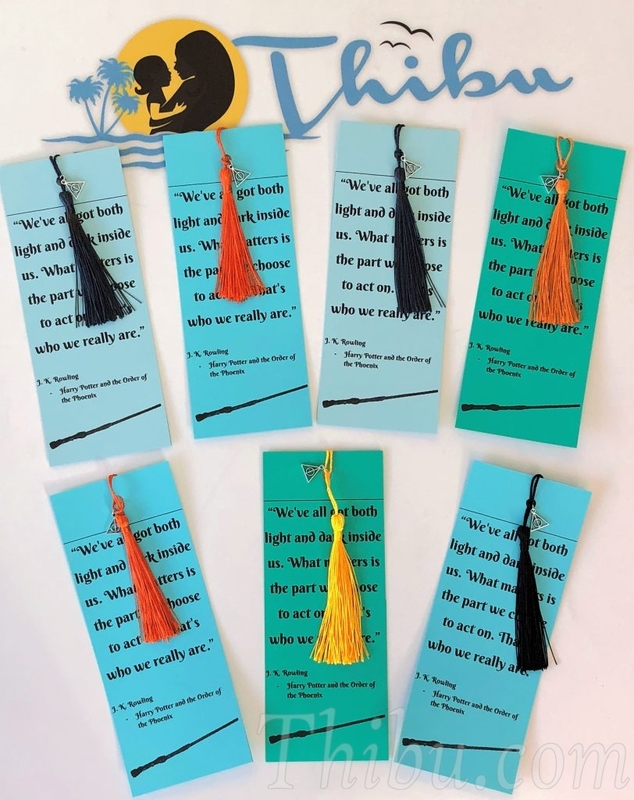 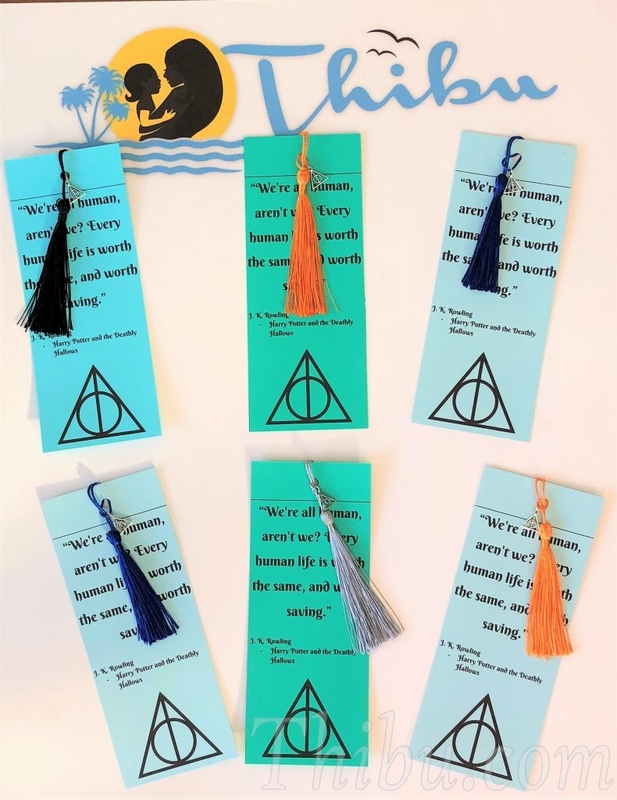 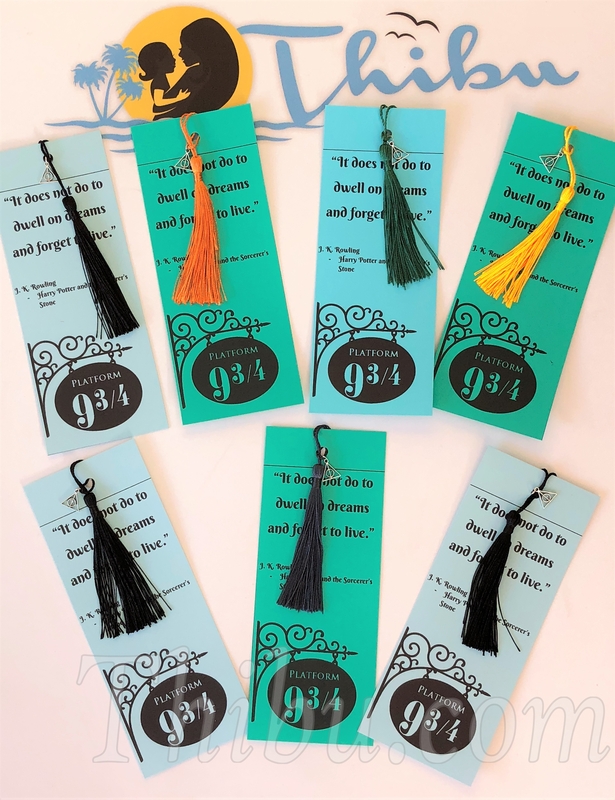 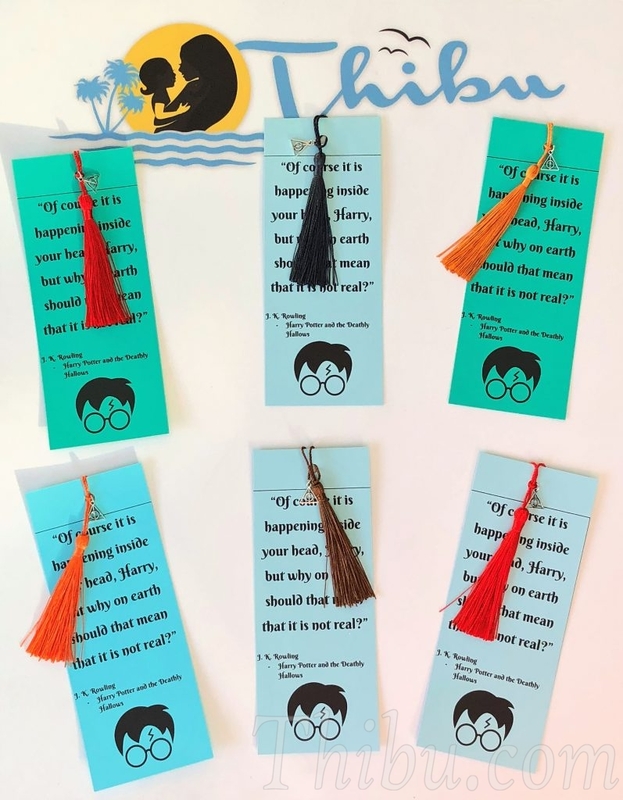 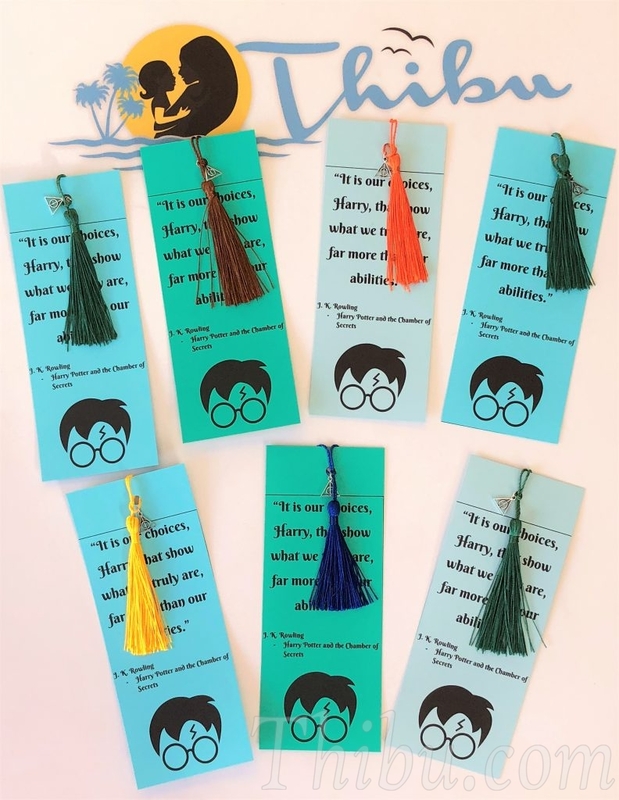 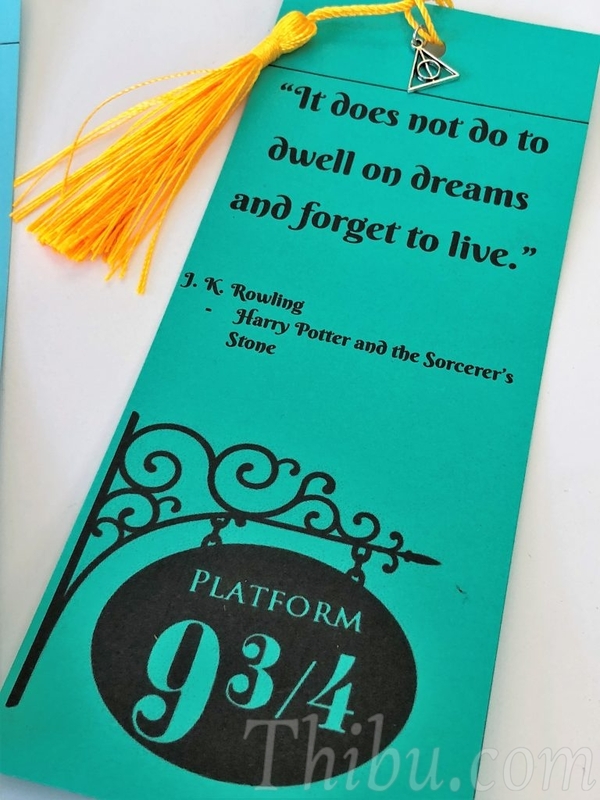 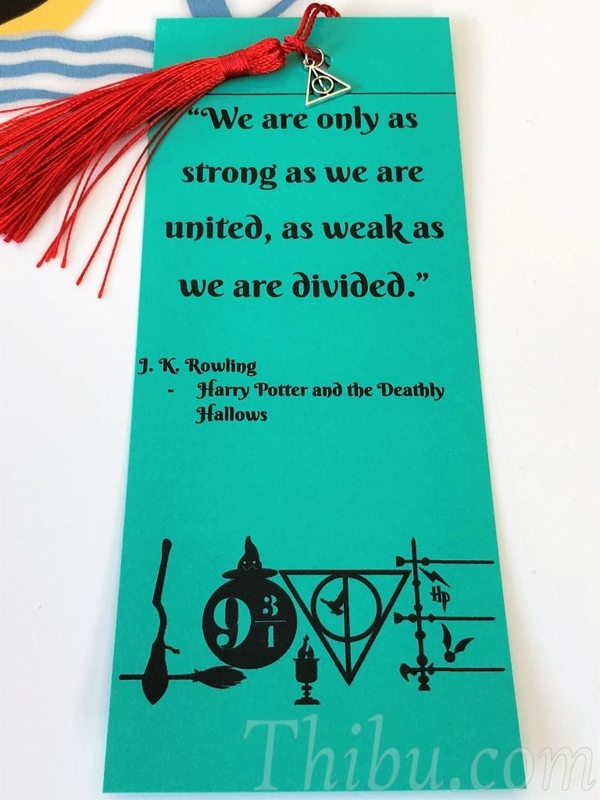 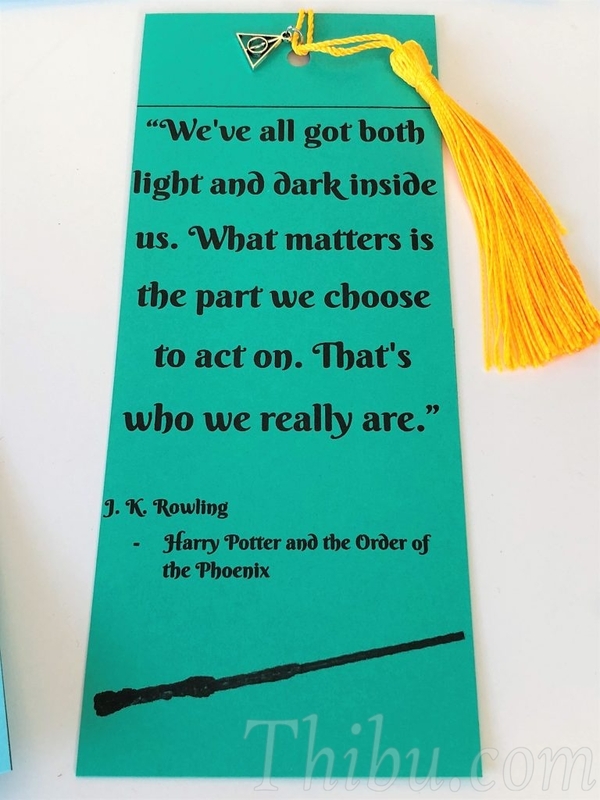 I picked a few and designed these bookmarks. 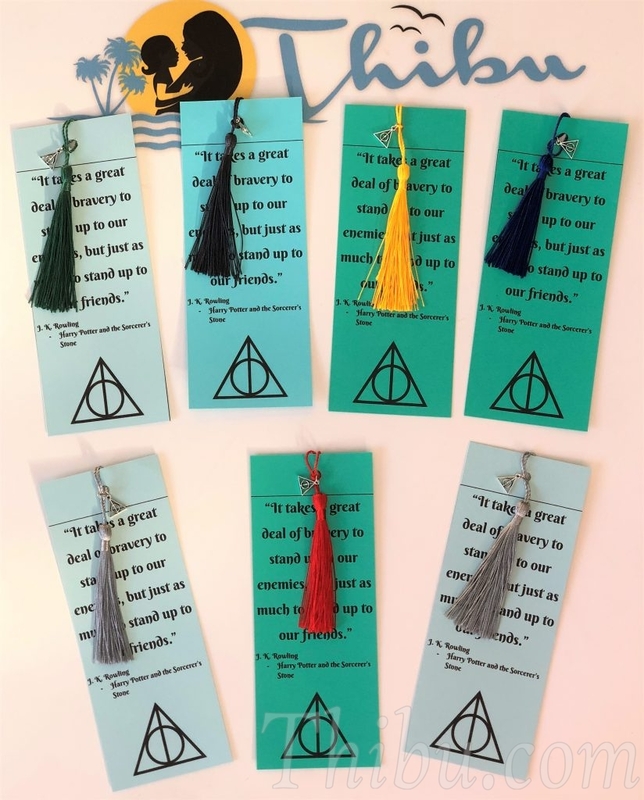 Kids helped me put the tassels and the Deathly Hallows charm on them. 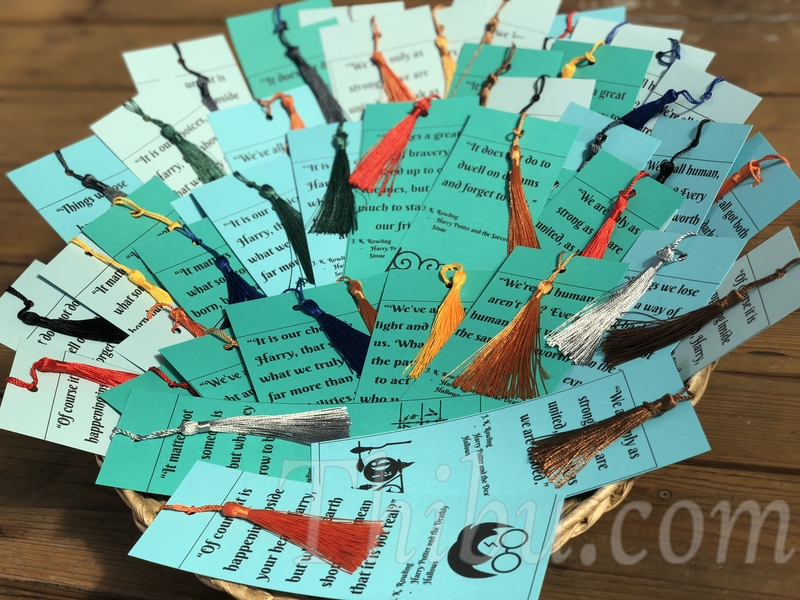 These were given to all the classmates at school and to all the kids at the birthday parties in goody bags. 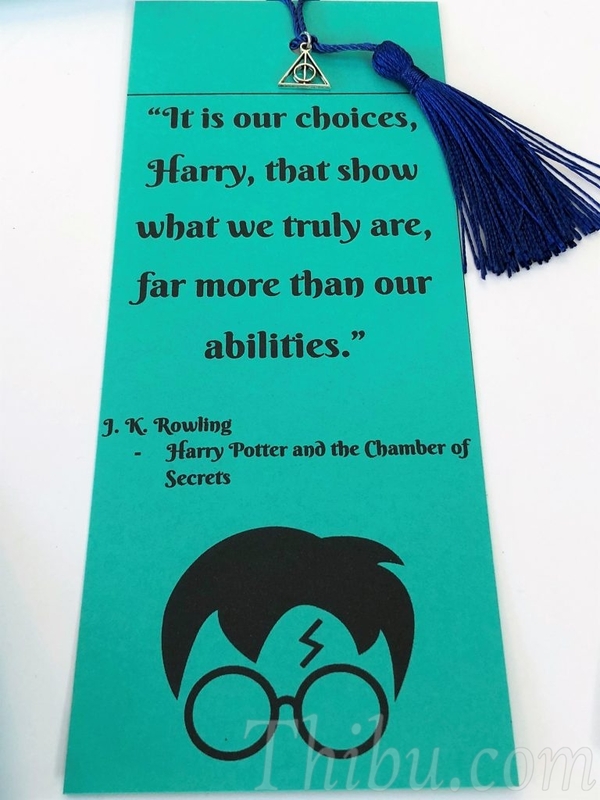 I hope it encourages the kids to read more!